This project lies in an unincorporated portion of Yorba Linda and therefore the land use decisions will be governed by the County of Orange. The OC Board of Supervisors approved the project at it September 25, 2018 meeting with Supervisor Spitzer voting no. The OC Planning Commission approved the project 3-2 at its August 22, 2018 meeting. Petitioners (us) have won twice (once at the Superior Court and once at the Appellate Court). The most recent win requires the County of Orange to overturn the project approvals and Environmental Impact Report. This will be the third time the project applicant has to fix the project and environmental documen and go back before the Board of Supervisors. The community group Protect Our Homes and Hills took the lead in filing a lawsuit against the County of Orange and City of Yorba Linda. Hills For Everyone, California Native Plant Society, Endangered Habitats League and Friends of Harbors, Beaches and Parks are co-petitioners in the suit. The project’s Environmental Impact Report was certified by the Orange County Board of Supervisors on March 10, 2015. The Orange County Planning Commission unanimously recommended approval of the project on January 14, 2015. Esperanza Hills proposes its only daily access on Stonehaven. 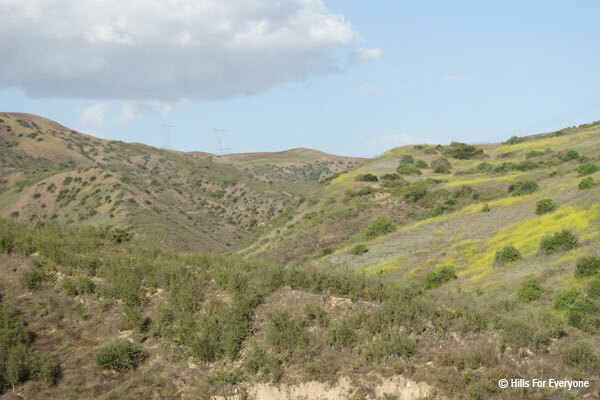 The emergency access is proposed through Cielo Vista, but the easement may be overburdened by the density of the Esperanza Hills project and is set for hearing in April 2018.